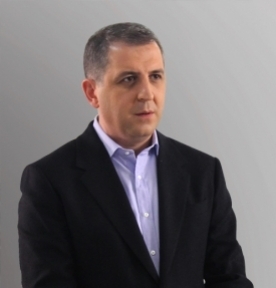 Mr. George Surguladze graduated from Tbilisi Agrarian University in 1993 with specialization of Engineer-Technologist. In 2004 he received his MS in Management of Information Systems from PACE University in New York. In 1996, Mr. Surguladze founded and managed Georgian-American import-export Company in Georgia. Together with his partners, Mr. Surguladze founded Caucasus Auto Import in 2004 and led the company till 2012. In 2004-2013, Mr. Surguladze, together with his partners, founded several companies in Georgia, which formed Caucasus Business Group in 2014. From 2014 Mr. George Surguladze is a Member of the Supervisory Board and Chairman of the Executive Board of Caucasus Business Group.